This is the gift catalog for STEPS Girls’ Home in India that I mentioned in my latest Update. Please consider giving to them this Christmas season. Thank you! Can you believe that Christmas is almost here?? Things have been busy here around the ministry. You can read all about it in the update below, plus I will be posting a Christmas Catalog for STEPS Home. Would you prayerfully consider giving a gift to STEPS this year? The following is the email devotional I sent out to the ladies of our growth group. If you know me, mornings are not especially my favorite part of the day. It takes me a while to really get going. And since I’m not a coffee drinker, I rely on my showers to wake me up. But the other morning, my adrenaline got so ramped up that I went from hazy to alert in under 2.3 seconds. Dozily I stepped into the warm shower and pulled the curtain. 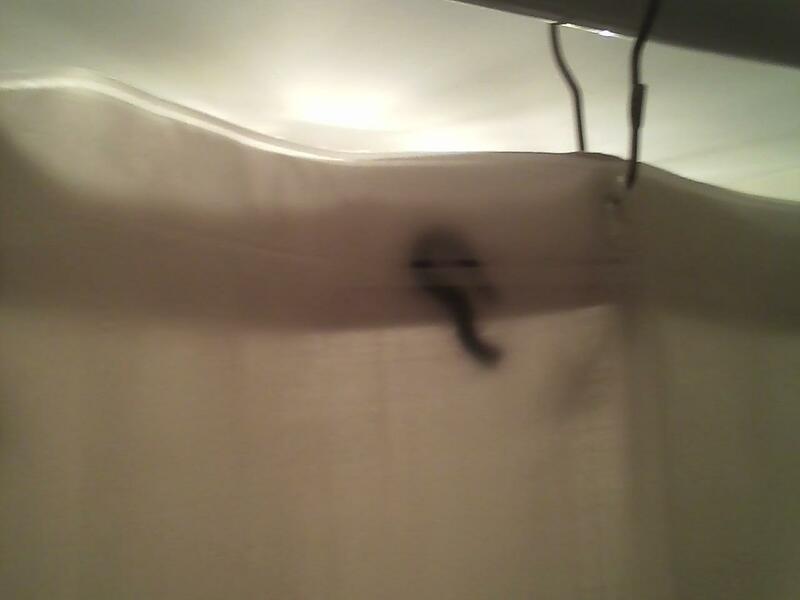 In my shampoo-lathered stupor, something caught my eye through the opaque shower curtain lining. I tried to tell my brain that it was part of the design of the decorative shower curtain. My brain wasn’t falling for that trick though… it knew something was wrong, and sent the message to my adrenal glands and I was wide awake.